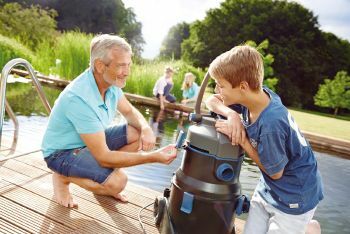 Introducing the all new OASE PondoVac 5 Pond Vacuum Cleaner, developed by German Engineers to tackle larger ponds, swimming pools and commercial pond cleaning tasks. 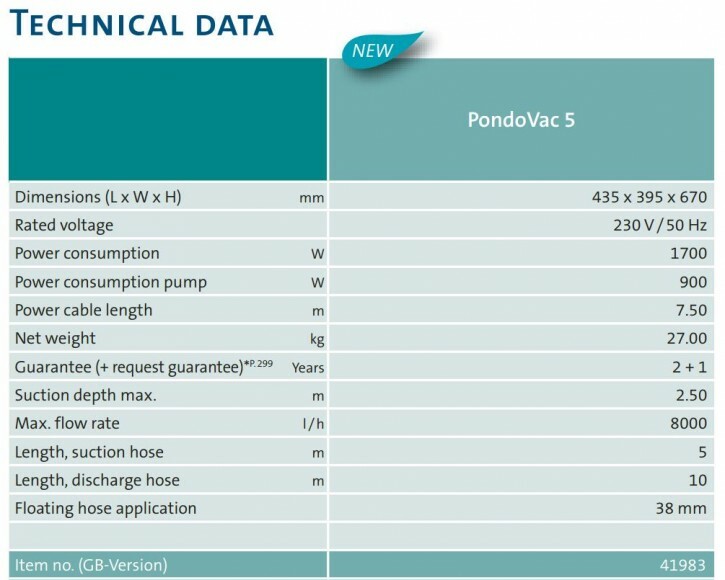 The PondoVac 5 features a pumped waste outlet, meaning the dirty water can be pumped uphill after the vacuum cleaner to a drainage point rather than via gravity discharge as with previous PondoVac models. 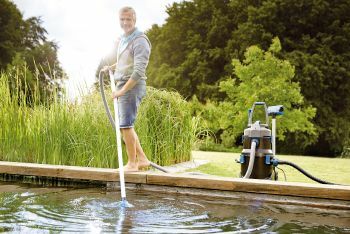 The new OASE PondoVac 5 feature high suction power of up to 8000 Litres per Hour and the supplied lances enable suction of pond debris and general detritus as deep a 2.5 metres. 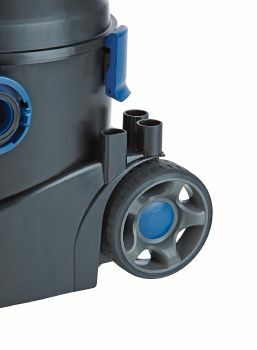 Improved ground clearance and rubberised wheels for mobility on uneven ground. 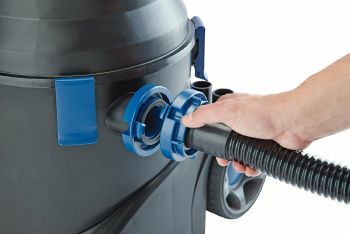 Discharge hose features a C-coupling for quick connection and removal. 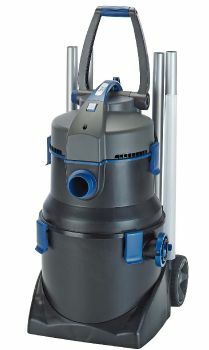 Non-stop vacuuming due to integrated waste discharge pump. 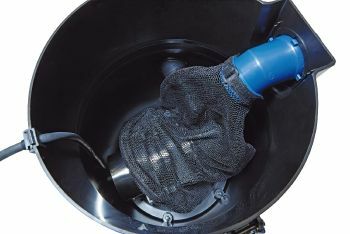 Can be used to discharge dirty water to an elevated point of drainage (Max 2m Lift). 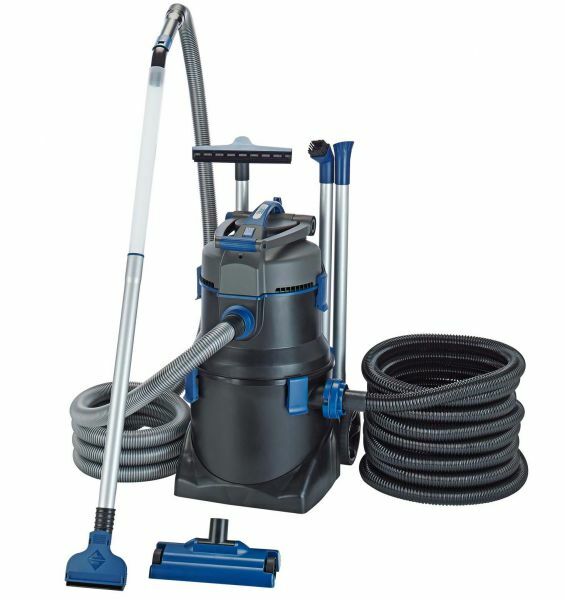 Supplied with a variety of tools and accessories for various pond cleaning tasks. Ideal for pond cleaning and emptying, swimming ponds and swimming pool cleaning. Max. 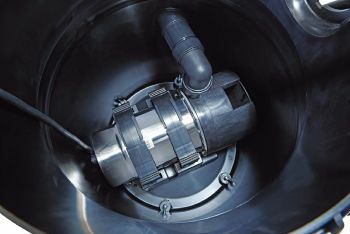 suction of 8000 Litres/Hour (1780 Gallons/Hour). 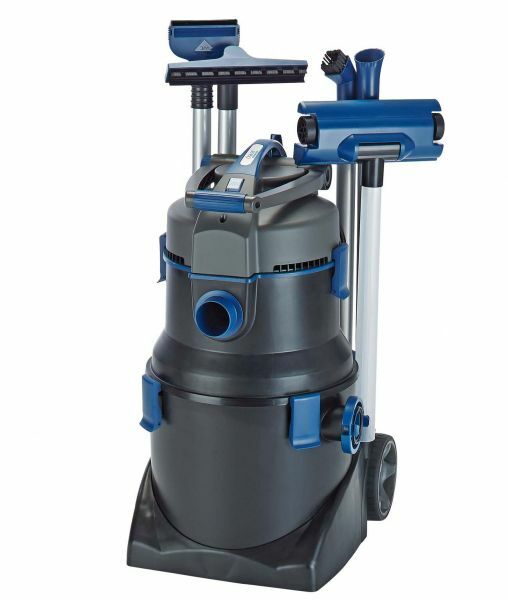 Maximum suction depth of 2.5 metres (8ft). Optional Floating Hose & Pole Set also available. Seems expensive but once assembled the pump makes all the difference. 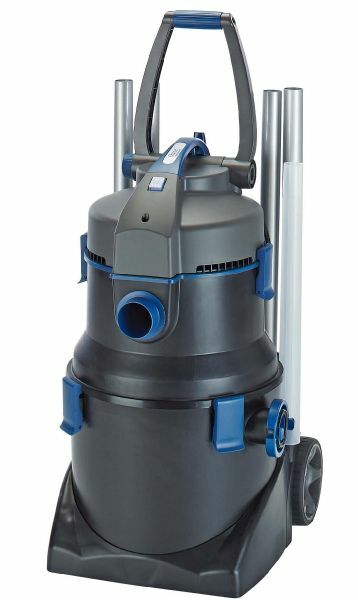 Previously purchased the second in the range. Hopeless for. bigger ponds.